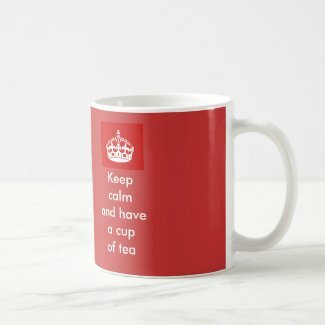 You may have noticed a recent trend for the fun parodying of the World War Two British "Keep Calm and ..." poster. 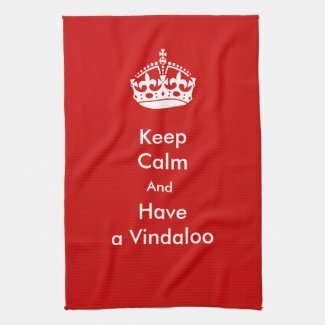 The originals were striking with white lettering on a deep red background. Printed in the dismal days of 1940 they stood out from walls blackened with black out paint and other notices and posters made grey by the lack of color pigment. 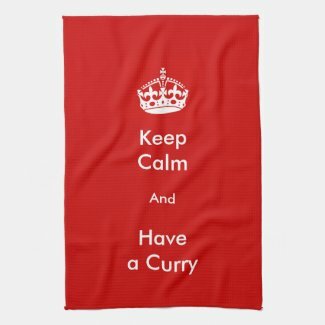 Here is my own take on the "Keep Calm" poster, which will brighten up any kitchen.